Being a homeowner comes with a whole slew of challenges and hardships. You now have an entire building to maintain, monitor and fix. 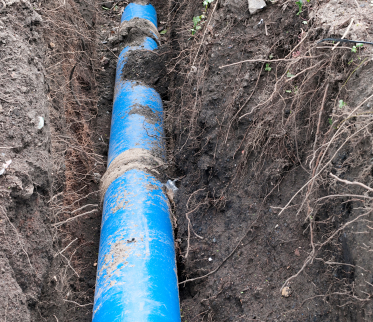 One of the most frustrating challenges for a homeowner can be problems with the water or sewer lines. Any vital aspect of the home that is buried underground is, undeniably, more difficult to access and assess. Sub-slab leaks can be the result of aged pipe, shifting ground or a settling foundation. Included here are a few things to do if you suspect a sub-slab leak. A leak in your water or sewer line means water is escaping from the line somewhere, and this water will, obviously, have to go somewhere. Taking the time to listen in your basement for water running in the walls can help you diagnose whether or not you have a leak. If you do find an area in the wall where water is running, mark where it seems to be going to and from. One of the worst kinds of leaks can be a leak in the hot water line. If you are finding hot spots on your floor that should not be there, it could mean your hot water line is leaking. This means you are not only losing water, and water pressure, you are also losing energy from heating excessive amounts of hot water. Hot spots in the floor can be especially dangerous as the warm water can speed decay and deterioration. If you are familiar with your water meter at all, you should be able to tell when it is moving based on how much water is being consumed. If you notice your water meter is always moving, even when water is not being used, you have a leak somewhere along your line. Other indicators could be unnaturally high water bills or a lack of pressure. While some areas have naturally occurring springs of water, you should be aware of whether that is normal or not for your area. Noticing water pooling or pushing up from the ground around your foundation is a very bad sign of a water line leak. If you begin to notice any stagnant water or constantly flowing water around your home or on your land, it is wise to call the experts. Homeowners tend to be a very independent, DIYer lot. However, the problems you face with a sub-slab leak are usually far outside your set of skills. Unless you have special training in this area, it is wise to leave all professional leak detection and repair to the experts.